North Wales has been amazing for the past couple weeks, I've been having to remind myself that I'm not living in the Alps! Since coming back from Italy I've been busy moving house. Things are starting to settle down now. I'm very much enjoying living closer to the mountains. All the craziness of late started a couple of weeks ago with some wild weather and heavy snowfall. 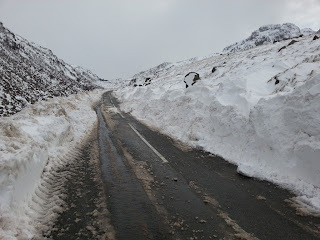 This resulted in Llanberis Pass being closed for almost a week, amazing considering the time of year. 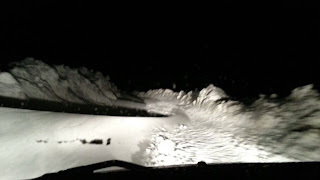 I almost got caught out driving back home after a late bar shift at Plas Y Brenin. Amazingly we managed to slide though some seriously large wind blown drifts, some of which were up over the bonnet of the car! Descending Llanberis pass at 1am...Amazing we slid through! A few 100m lower altitude in Beris there was no snow at all. 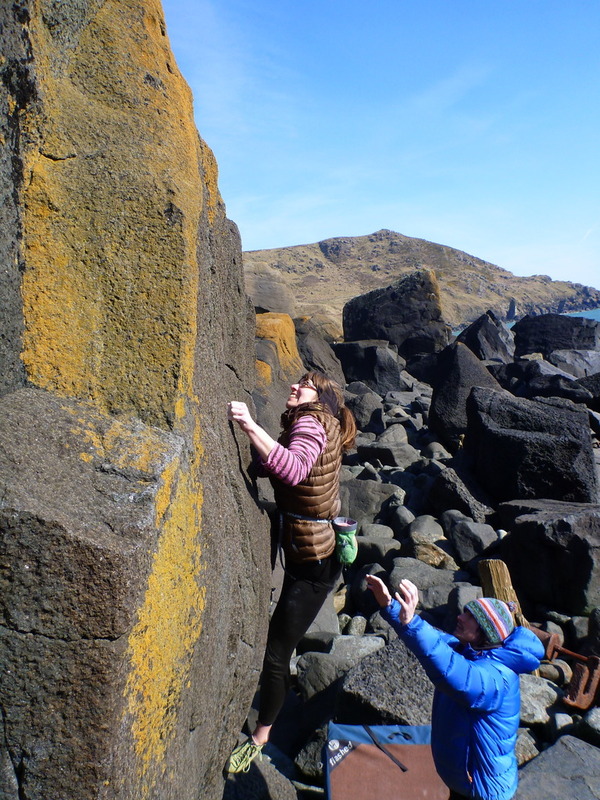 The pass opened and the sun came out just in time for the Easter Bank holiday weekend. 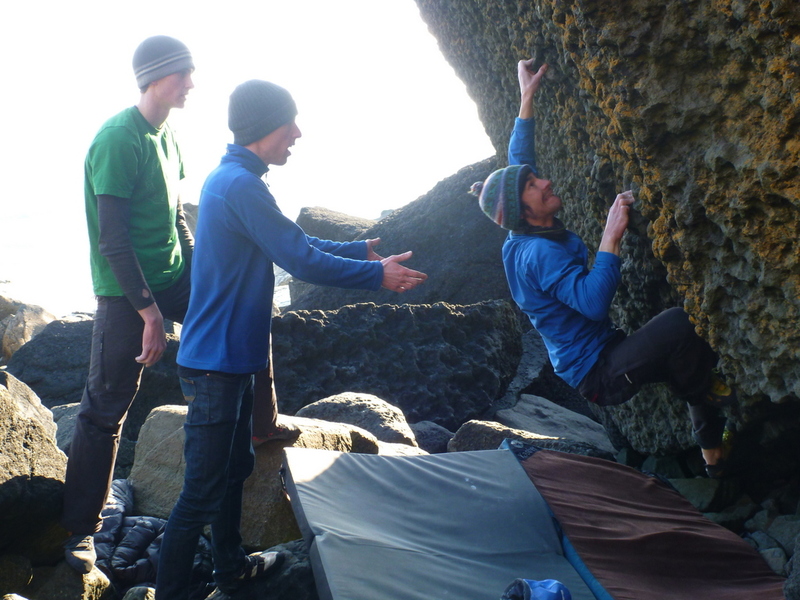 My new spare room and converted attic office were filled with psyched friends super keen to get out in the mountains! With Team Savage reunited (plus girlfriends) we missioned it up to Clogwyn Y Garnedd on the North Face of Snowdon. The sunny weather and deep snow gave the day an alpine feel. It was great to be back on Clogwyn Y Garnedd 7 years after I climbed Central Trinity with my dad as my first winter route. Amy and I opted for Right Hand Trinity which turned out to be quite tricky. Even though there was plenty of snow about the route itself was rather thin. 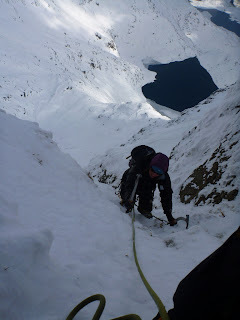 There was good snow ice in places but the tricky sections were mainly mixed climbing with a bit of frozen turf. We topped out to more sunny alpine like vistas and crowds of people with variable levels of equiptness! 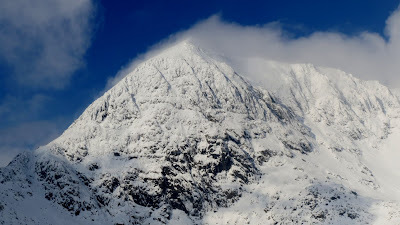 Snowdon looking like a Himalayan peak! Our lines..thanks to Tom Skelhon for the topo!